A Crocket sired daughter of the potent Mika cow who is following very closely in her mother’s footsteps. She is a feminine, angular female that reduces birthweight and adds milk. 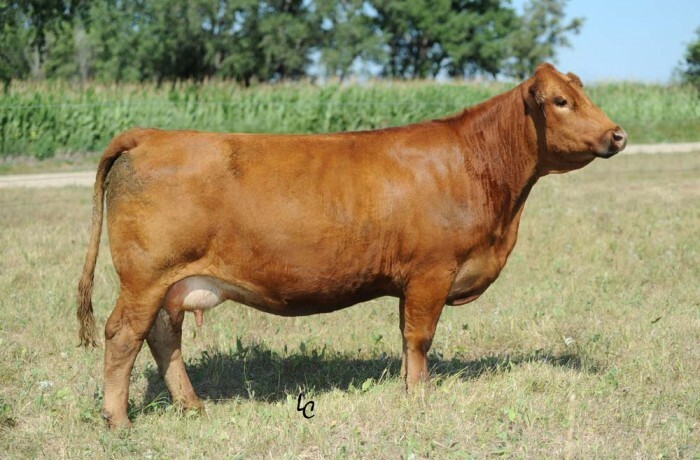 68U was the 2nd high selling female in Hook’s 2013 mature female sale. She has crossed well with Beef King and now will be taken some different directions for an added twist to her already complete pedigree. Open and flushing for 2014.